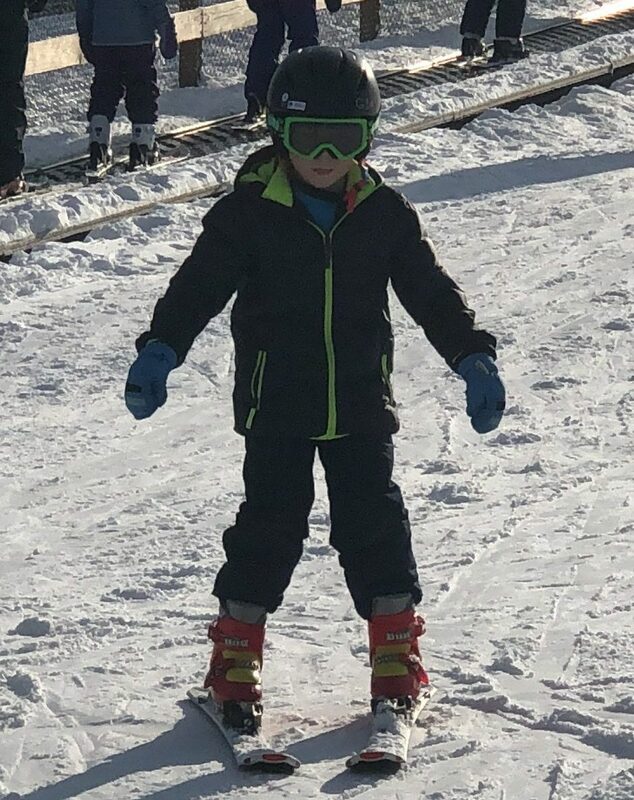 Alan continued learning to ski today on another unseasonably warm day. Alan, while debuting brand new ski goggles, did so well today that he was moved up from the light green beginner group to the dark green group. Next week he’ll get to take the chair lift to a higher hill! After the session ended, Alan once again stayed for extra practice.